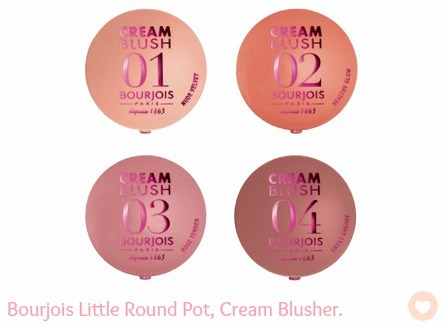 Sophsterlicious • UK Blog: Bourjois - Little Round Pot Cream Blush. Bourjois - Little Round Pot Cream Blush. I love cream blusher! How about you? I love the effect that they give to the skin and how they look so fresh and natural when blended into the skin. These new gems from Bourjois are velvety soft, cream to powder blushers, available in four gorgeous shades for just £7.99 each. I can't wait to give them a try! They will be available from Boots stores from May 15th. However, if you don't wish to wait, you can get them now in Selfridges, and Selfridges online. Link! The Fragrance Shop Discovery Box. Fancy Nails - With Elegant Touch! Life Lately, in Instagram Pictures. What's In My Handbag?... Spring Spruce Up Kit!